♥ Mama 2 Multiples ♥: Purex Crystals for Baby Review & Giveaway! Purex Crystals for Baby Review & Giveaway! I love anything that will help make my job as mom and my mom chores, such as laundry, easier, and of course I love anything that involves my children's clothing and freshness! Purex Crystals for baby is a brand new product just barely being sold in your local Walmart, and hopefully soon, other grocery stores. I was given the chance to review a bottle of Purex Crystals for Baby a few weeks ago, before it even hit stores! 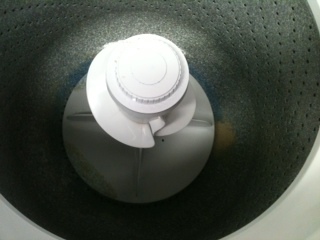 (Another lovely perk of being a Purex Insider!) ;) I could smell these crystals before even opening the container! I was very anxious to try them out in my laundry! They are very easy to use. 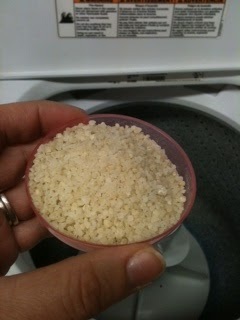 You simply add your clothes and laundry detergent to the washer, and add in a capful of these crystals to the load too. 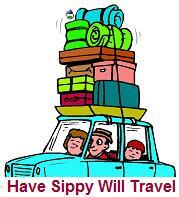 If you prefer more freshness, or have a larger or heavily soiled load, you can add more than one capful. Since I have started doing our laundry at the local laundromat (cheaper than the washers and dryers we have in the building where we live), I manage to get all of our 4 or 5 loads of laundry a week into the one huge washer there, so I add a few capfuls of the crystals to my wash. I wish I could add a scent to this post, so all of you readers could smell how amazing our laundry smells after washing it with these added crystals! 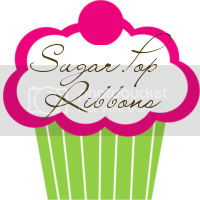 The freshness really does last longer than when I wash our clothes with just the detergent, and I have noticed how much more soft our clothing, specifically our towels, come out after using Purex Crystals. The only thing I wish was different, was that these came in bigger bottles, because we use them up so quickly with how much laundry we do regularly, and how large of loads we do. I have since purchased a different scent of Purex Crystals at my local grocery store, and was surprised that they really are not that expensive! They are under $5! Very, very reasonable! I would definitely recommend these to everyone I know, and already have since first trying out this bottle for myself! Purchase It: You can purchase the Purex Crystals for Baby reviewed here, at your local Walmart, and other scents at your local grocery store! 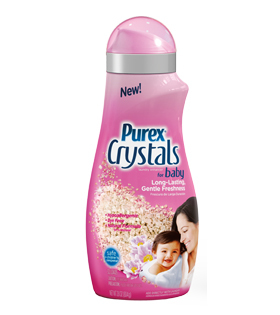 WIN IT: TWO lucky readers of Mama 2 Multiples are going to WIN a coupon for a FREE bottle of Purex Crystals for Baby! To enter, simply fill out the Giveaway Tools form below! Hi Blake. I'm a gfc follower as Tracy Cotton Pickin Cute. Thanks for letting me enter your giveaway. Key Wonder Review & Giveaway! Knot Genie Review & Giveaway! Connor & Merasia's 4th Birthday Party! Leading Lady Holiday Nursing Collection Review!